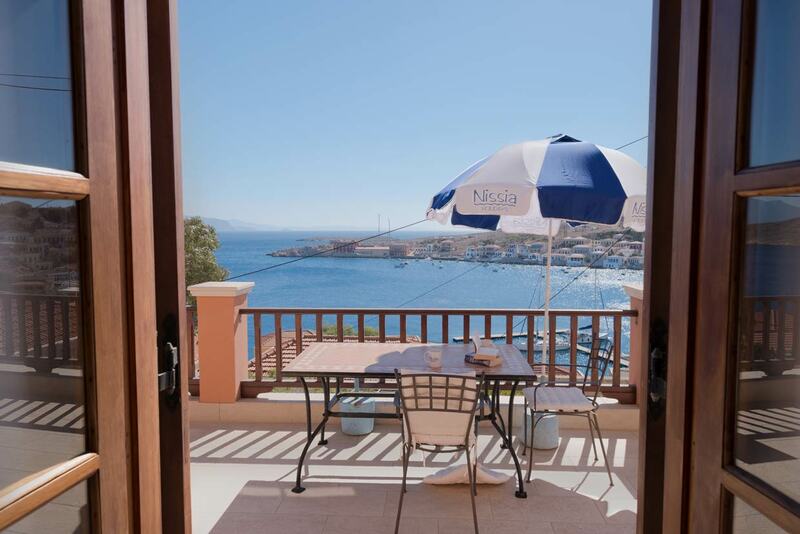 Weekly rates for Elengo Penthouse start from £ 575 total, depending on selected dates. 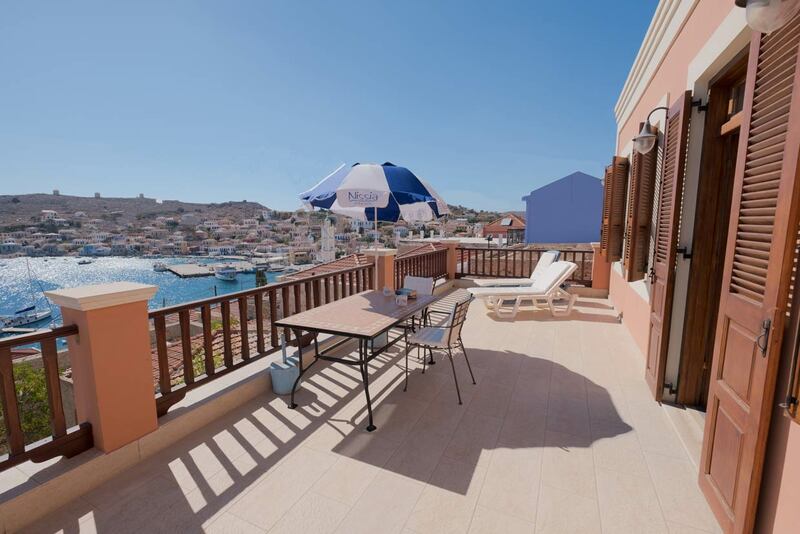 Elengo Penthouse has the most fantastic views over Halki from its enormous private sunny terrace situated above the Elengo Apartments. The penthouse has been fitted to an extremely high standard through out. 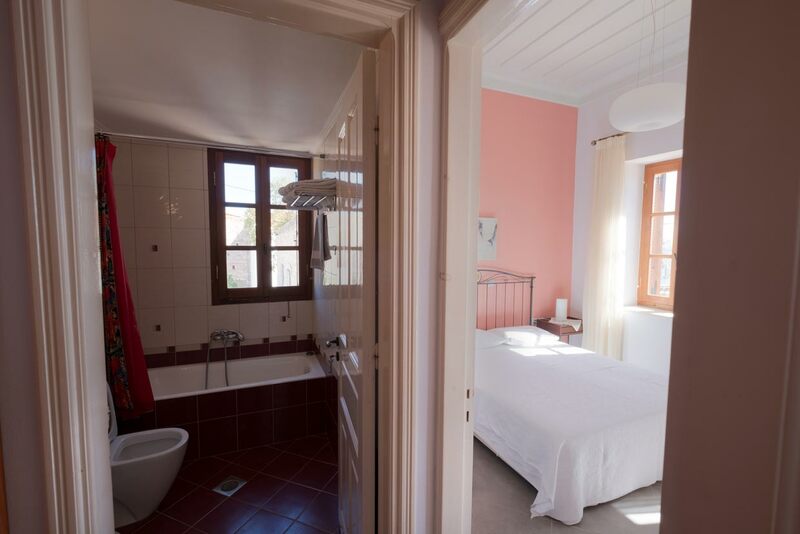 There is one double bedroom with a double bed; leading from the bedroom is the dressing room area and ensuite luxury bathroom. 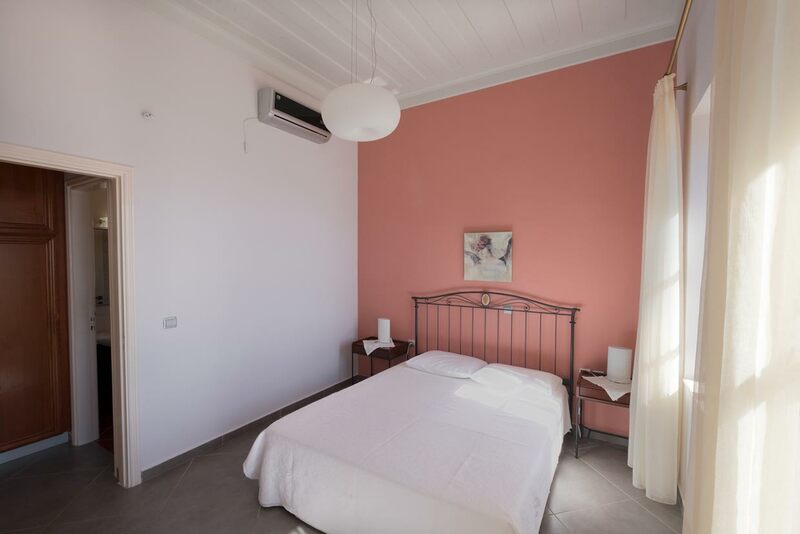 The penthouse is fitted with air conditioning in the bedroom. 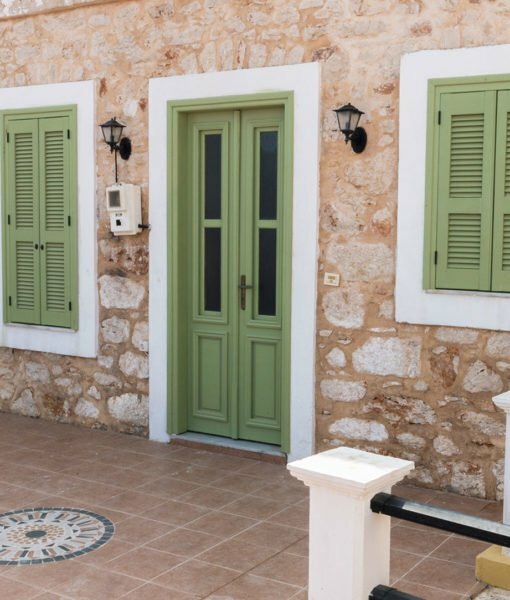 The bathroom can be accessed from the lounge/dinning area by using a separate door via the dressing room. 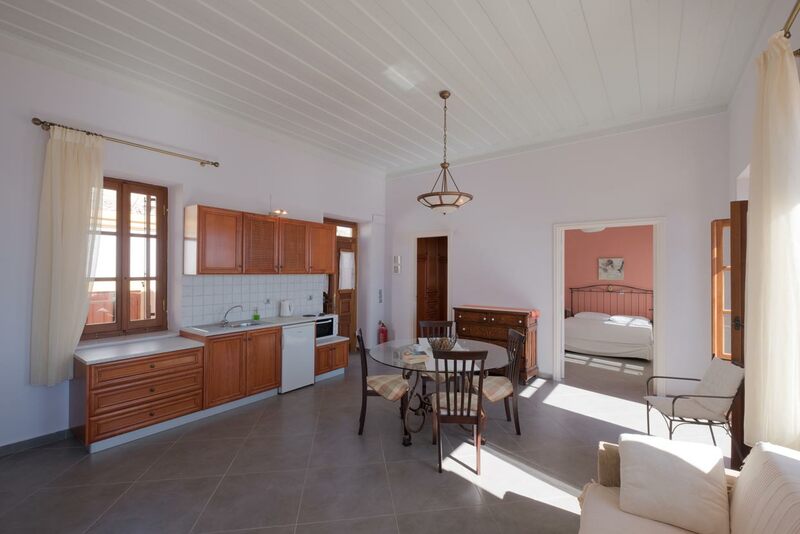 The enormous lounge/dinning area has been furnished to a very high standard, with a dinning table chairs and includes sofa beds which would sleep a child. 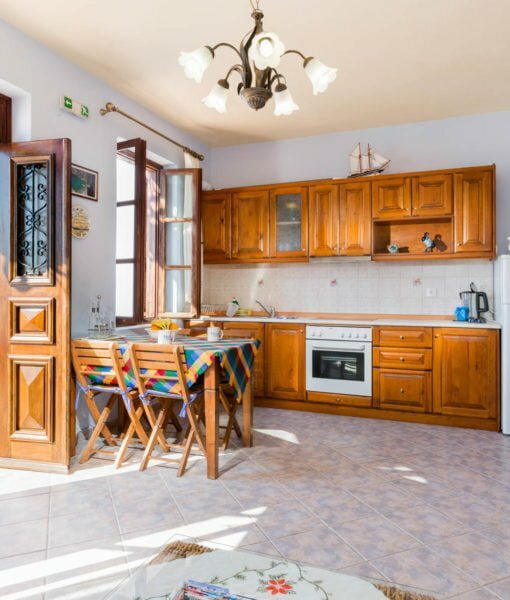 The modern kitchen area is situated within the lounge/dinning area and has a small cooker with oven, a fridge and all the cooking utensils required to prepare meals. 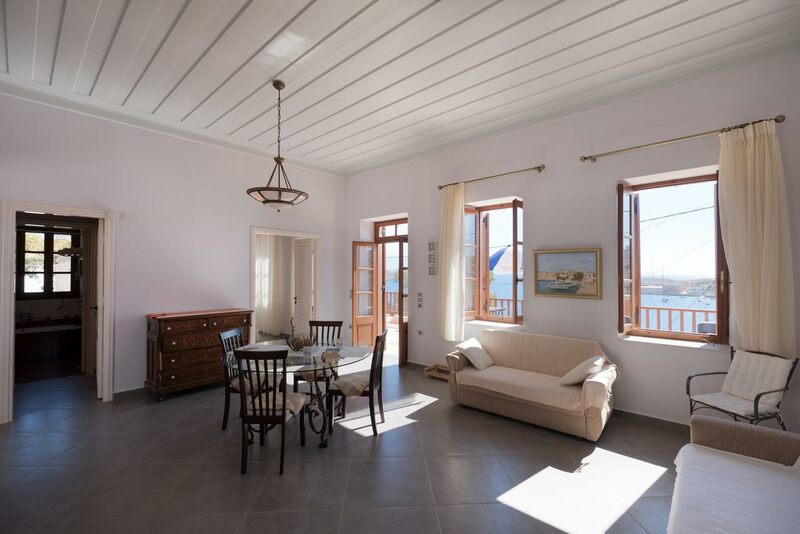 The Penthouse offers a very large private place to stay with the most fantastic views out across Halki and out to Rhodes. 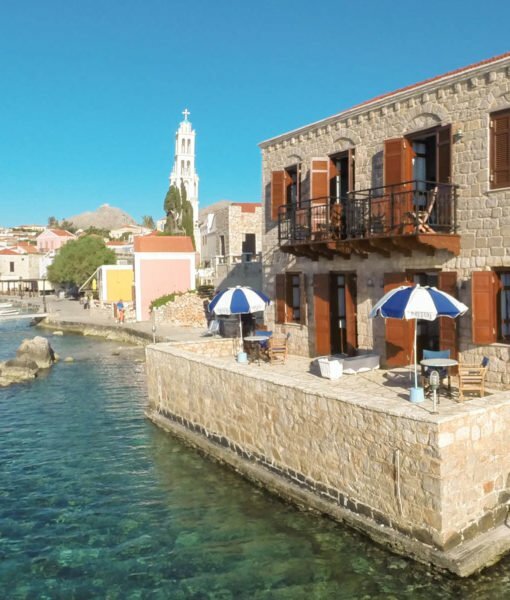 It has to have the largest terrace in Halki which is ideal for relaxing, sunbathing enjoying the spectacular location. 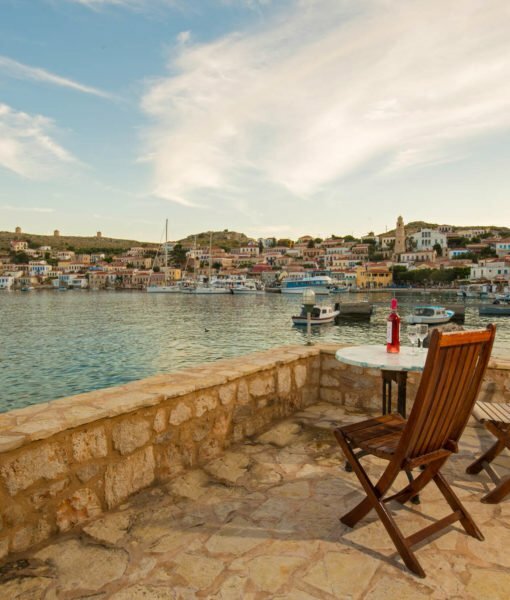 The Penthouse also makes a perfect honeymoon hide away, one of our popular villas in Halki!